What exactly is the best way to keep a relationship healthy? If you ask me, it’s the commitment. For me, commitment is the most important factor when it comes to romance. 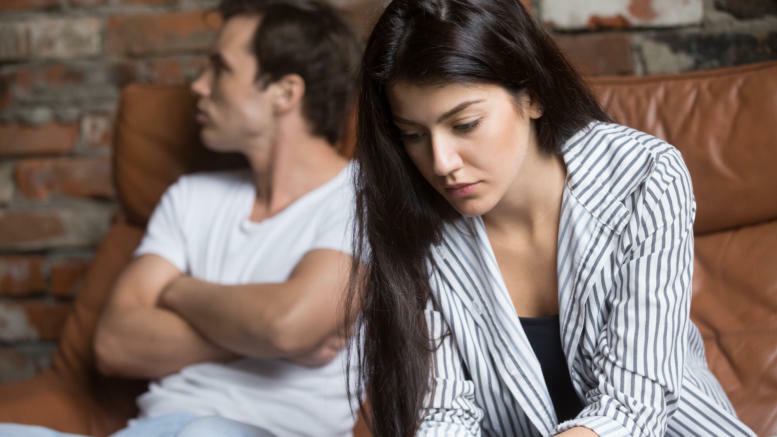 Other girls struggle with this because sometimes, they feel a lack of sincerity from their partners and this is where all sorts of problems come in. Commitment is important because from there, mutual trust and understanding can be formed which will eventually make the relationship long-lasting. But the bigger question is, how can you get your boyfriend to commit to you? Don’t worry! You’re not alone, and we’re here to help you make things work out. With that, let’s have some girl talk! When getting to know your partner, it’s important to learn more about him deeply. Know him in a way no one else does. In this way, you’ll have a special connection that’s unique and genuine. Keep in mind that communication is key! In the process of getting to know each other, it’s essential to have constant conversations. By communicating effectively and honestly, you understand each other’s wants and needs, and you both see a special side that’s exclusively for both of you. The best way to make a guy commit to you is for him to realize that you’re exactly the person he wants to grow old with in the future. If you want him to commit, he needs to see that letting you go would be the biggest mistake of his life. It’s not all about putting your best foot forward but just being real. Every guy wants a down-to-earth girl and the easiest way to show this is by staying true to what you are. Don’t pretend to be something you’re not because it might just cause more problems in the future. Achieving life milestones together – relationship goals, right? One of the best ways to make your boyfriend commit to you is by having life experiences together. Be there on his special days, and invite him to yours. This kind of relationship culture makes the bond stronger, and it’ll make him look forward to more. We’re not just talking about life achievements here, okay. We’re also talking about adventures in general. Go on an out of town trip or a museum date. Through these little adventures, he’ll imagine the future more with you in it. Trust me, it leads to more romantic and committed men. If by chance you’re dating a competitive guy, you might want to take advantage of that factor. Why? One of the biggest mistakes of women is letting themselves be inferior. This can be risky because your guy may think you’re overly attached and that you’ll do absolutely anything for them which in the long run, makes you look too desperate. What you can do is play hard to get! By doing this, you teach your man that they have to work hard to have you, and this illustrates a valuable lesson concerning commitment. Through this, your value as a person isn’t compromised, and your man learns to value you more. To make your relationship work, being attracted physically and sexually isn’t enough. Your man will learn to love and commit to you if you show him the kind of love that he needs – not what he wants, but what he needs. Loving someone you want to be loved may not always work out. Since we’re all different people, the love you want may not be the same as your partner. With this, it’s just right to invest your efforts, time, and energy, in the critical things that matter. If you constantly learn the art of doing this, you’ll save yourself from tears, and he will learn to see you in a different light. If you invest in the right aspects, he’ll soon realize that you’re the only person who can understand him deeply, the only person who he can have a lifetime full of adventures, and the only person who he’ll want to marry and grow old with. And that’s how you make him commit to you. A relationship can be really romantic and almost taken from a movie scene. But if your partner is noncommittal, what you have won’t last long. With that, it’s important to know the perfect recipe to know how to make him commit and love you deeply. It’s all about commitment resulting in trust, maturity, and long-lasting romance. In doing so, you’ll make things easier for your relationship, and you’ll have an exceptionally committed man in no time. Speaking of trust. If you need to rebuild your Ex’s trust, check out tips on how you can get your ex back. Don't let the man you love slip out of your life forever. Use these techniques to compel your ex to fall back in love with you again... for good! When it comes to relationships and advice, should we be listening to the statistics or should we be following our heart? 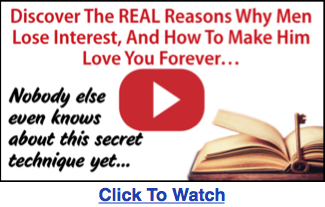 1 Comment on "5 Tips to Get Your Boyfriend to Commit to You"
I hate SPAM - Your email address will be kept100% secure and you can unsubscribe atany time! How to Get Over A Breakup? Get Over Him FAST Using THIS!